Phase 2! Well.. the final product will actually involve some fading of the intense pink (it’s so fun this bright though) after about two washes. This was intentionally extra bright so that my new color will last a while. I absolutely love having this multi-dimensional color to go with my cut that is also multi-dimensional. When I pull the back of my hair (which is long) behind my shoulders I have a faux short bob style. 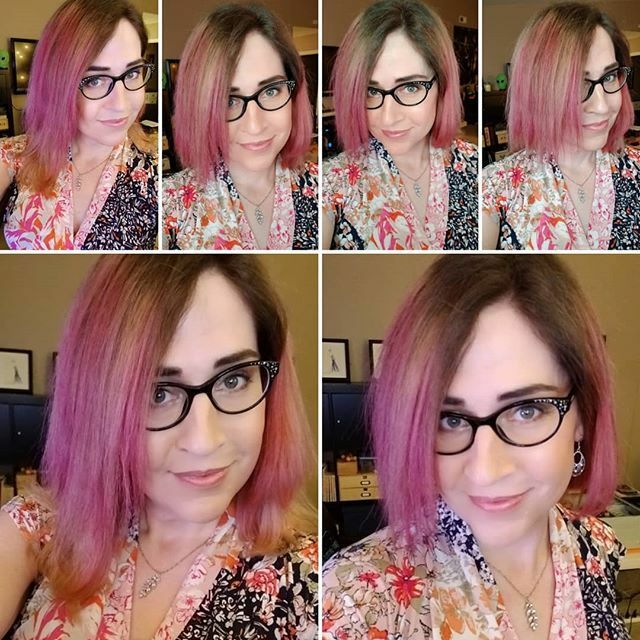 Yet, I can sweep the long pieces forward and reveal my long hair 😉 Thank you again to my friend and colorist Britany for this amazing color work! More pics in different light to come later! It actually looks red-ish in some light!